overall process, scan>>lineart (mouse)>>painting(tablet)>>add light effect. oh, I wanted use this scan! Too late! That's a really nice and sweet wall... just love it! 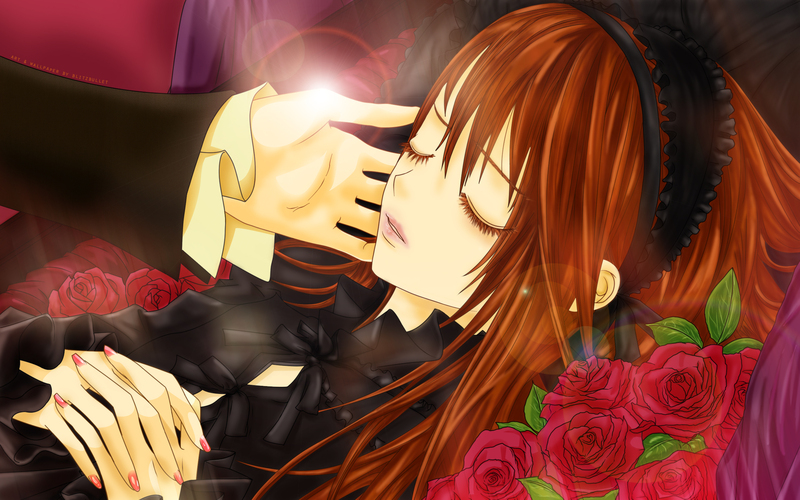 nice wallpaper.. but i didn't get the point of the flash at kaname's hand..
Nice gothic wallpaper. Vampire Knight is an awesome anime.